Retail giant Target has announced five new sustainable packaging goals to help deliver products that are better for the environment. The retailer is planning to eliminate the use of polystyrene, as it is difficult to recycling for guests and distribution centers. It is also responsible for ocean plastic contamination. According to Target, the five new packaging goals reflect guests’ expectations, business priorities and challenges faced by the industry. Target intends to source its products from sustainably managed forests with the support of vendors and other partners. The retailer has taken this decision as part of its forest products policy, enabling to use more paper-based packaging solutions in its products of various brands, including Spritz, Pillowfort, Cat & Jack, up & up, Smith & Hawken and Threshold. Part of a sustainable packaging coalition programme, Target is already using GreenBlue’s How2Recycle label on around 1,700 packages and plans to use the label on more brand packaging products. Target has joined The Recycling Partnership to bring curbside recycling to more underserved communities, helping to increase recycling and make more recycled raw materials available for packaging. In addition, the retailer has joined Material Recovery Facility of the Future project and Beyond 34 project, in a bid to create more demand for recycled packaging. Target chief sustainability officer Jennifer Silberman said: “When we provide them with thoughtfully designed, environmentally friendly packaging, we’re able to help them take another step toward sustainable living. 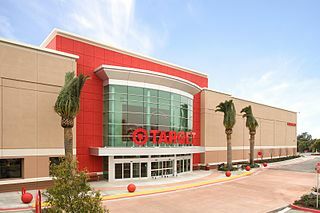 Image: A Target store in Ventura, California. Photo: courtesy of Skinner2398.